Barbuda is a close neighbor of Antigua, which two islands are separated between by a mere 25 mile distance. Barbuda is located in Eastern Caribbean with a population of 1,500. The total land area of the island is 160 square kilometers and the soil are mostly coral limestone. The island’s capital is Codrington, which is the only community on the island where most Barbuda natives reside. The island of Barbuda is seldom visited by people making the island appealing to tourists who seek seclusion and privacy for their vacations. Barbuda is famous for its frigate-bird colony and beautiful beaches. Visitors of the island can reach the place through a small strip of an airport or the use of private boats. Besides the bird colony, tourists can expect to see other kinds of bird species, such as warblers, pelicans, herons, mockingbirds, ibis, and ducks. Hunters can hunt on the island for wild boars and deers since this is allowed in the area. Tourism activities on the island vary from swimming, hiking and golfing to snorkeling and scuba diving. Two Foot Bay is a natural wonder of Barbuda especially for the caves found in the area. The size of the caves at Two Foot Bay ranges from small holes to big, cavernous caves. Visitors can find inside the cave stalactites hanging overhead the cave ceilings to stalagmites protruding on cave floors. There were also recorded archeological findings of fossils found inside the caves of Two Foot Bay. Legend says that Barbudans call the caves “The Fridge” since the caves were used as campsites due to its cool and breezy temperature. Two Foot Bay is commonly visited by tourists because of its accessibility to human traffic. Barbuda visitors camping at Codrington can take a three and half mile drive northeast of the village to see Darby Cave. Darby Cave is famous for the huge sink hole that seems to appear in the middle of a wide plain from out of nowhere. The hole measures 100 meters in diameter and 70 feet below. Palm trees, ferns, liana and a small vegetation similar to a rainforest, can be seen surrounding the cave. The cave also features stalagmites measuring up to 8 feet high, which are wonders for visitors to awe. Tourists are advised to get services of a local guide when visiting Darby Cave. Barbuda is famous for its Frigate Bird Sanctuary. In fact, the Frigate Bird Sanctuary remains to be among the famous attractions, which visitors come to see in Barbuda. The sanctuary is located in the lagoon of Codrington and visitors must take a boat ride the get to the area. The boat ride is about forty minutes, but tourists need not reach the actual place of the sanctuary to enjoy the visit. The actual ride guarantees beautiful scenery for visitors to enjoy. Tourists should schedule a visit in the months of September to April since these are the mating seasons of the birds. During the mating season, the birds display a huge red breast as means to attract mating partners. Female birds can be seen during these months laying eggs on nests built on mangroves. Two miles south of the famous Darby Cave is another cave wonder worth visiting, the Dark Cave. Tourists visiting this cave shall experience the treat of entering a narrow entrance and inside to a spectacular display of pools of water. Legend says that the water in the pools were used by Amerindian as artifacts. Finally, the Dark Cave features rare species of crustacean living in the cave. Caribbean islands like Barbuda are famous for its beaches. 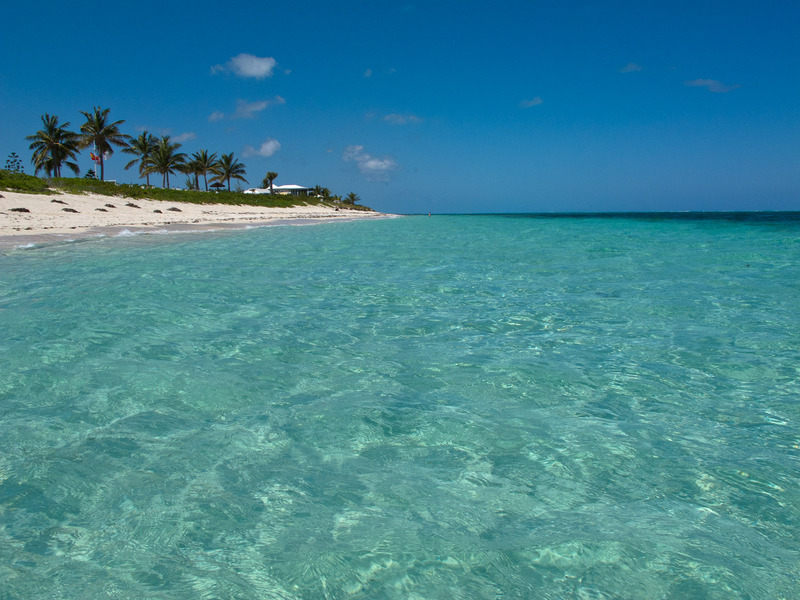 Barbuda is notable because of its natural wonder called the 17 mile beach. Imagine this stretch of pink fine sand this long ready for leisure walks and fun swims. Moreover, the calm water of this 17 mile stretch is so calm making it possible for relaxing swims on the beach.